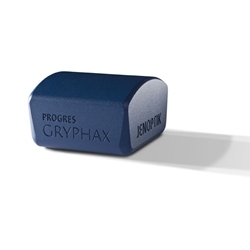 The Jenoptik ProgRes Gryphax USB 3.0 Rigel camera is an 2.3 megapixel monochrome microscopy camera. View a chart comparing the Jenoptik Gryphax cameras here. Microscope Connection: C-Mount thread for connecting to your microscope-specific c-mount adapter. Software: Includes ProgRes GRYPHAX Software. Warranty: 2 years for camera, 1 year for software.